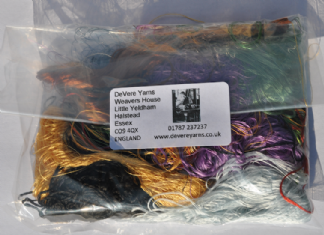 Each bag of DeVere Yarns Throsters silk contain approximately 25g of Pure Silk in a mix of many different colours and thread thicknesses. 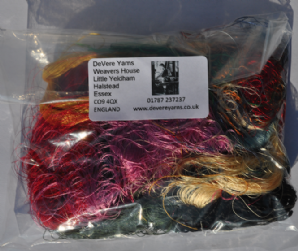 Throsters pure silk bags are a mix of pure silk embroidery thread and and pure silk weaving yarns, all of varying length and colours. 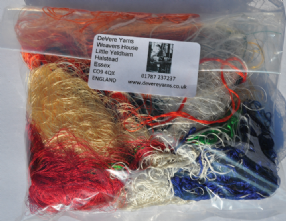 Throsters bags are great for use in paper making, It can be stitched into creative embroidery to add depth and texture to your work and has many other possible creative and craft uses. 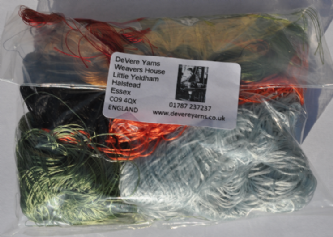 Please only use the pictures as a guide to the kind of variety you can expect in any one bag as we cannot upload individual photos of each bag available. 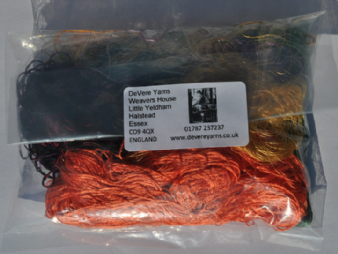 Haven't used these before, but lovely range of colours and super quick delivery.